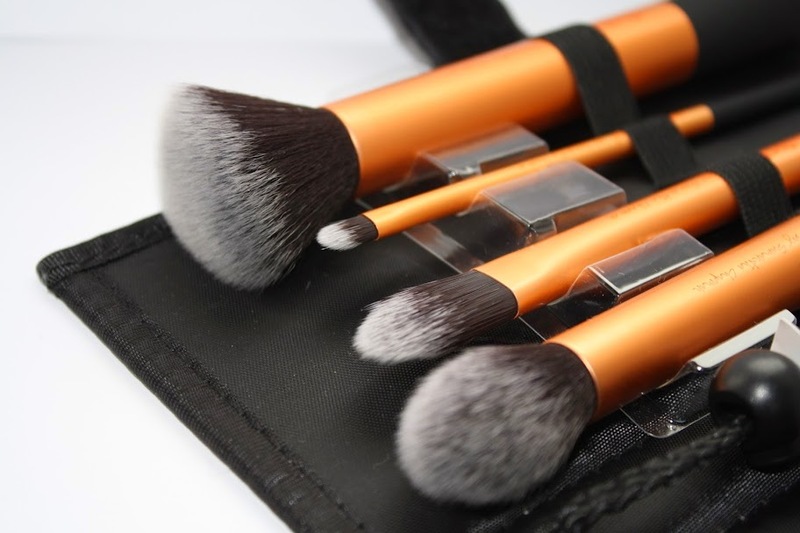 Home bbloggers beauty beautybloggers brushes corecollection eyeshadow irishbloggers makeup makeupbrushes newbloggers pixiwoo real techniques reviews starter set Real Techniques review! I wanted all the Real Techniques brushes for so long and finally I got them as a present at Christmas. I got two sets: The Core Collection face brush set and the Starter Set eye brushes. 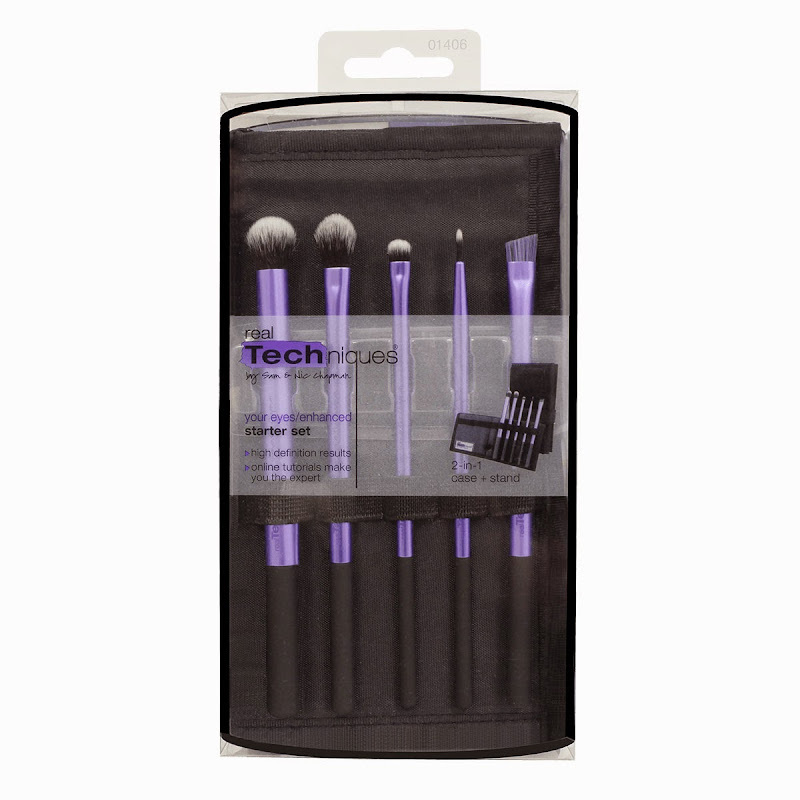 These sets can be purchased online on the Real Techniques website or from stores like Boots and Sam Mc Cauleys. The sets retail for €28.99 each from Boots. I wanted to buy the two sets for my sister as a Christmas present and had to look absolutely everywhere for them because they were sold out in most stores. I would have ordered them from the Real Techniques website but I didn't have the time and I don't think they actually deliver to Ireland. The detailer brush is perfect for concealer and is also very handy for tidying up lipstick. Their pointed foundation brush is obviously pointed and so it makes it easy to get foundation into areas that would be hard to reach with a normal foundation brush. The buffing brush can be used for powders and mineral foundations and I think it applies my powder just how I like it. Also in the set is the contour brush which I use on a daily basis. The brush has a slight point to it so it's perfect for getting the right angle you want when contouring. I also use this brush for applying blush and highlighter and find it perfect for all three. 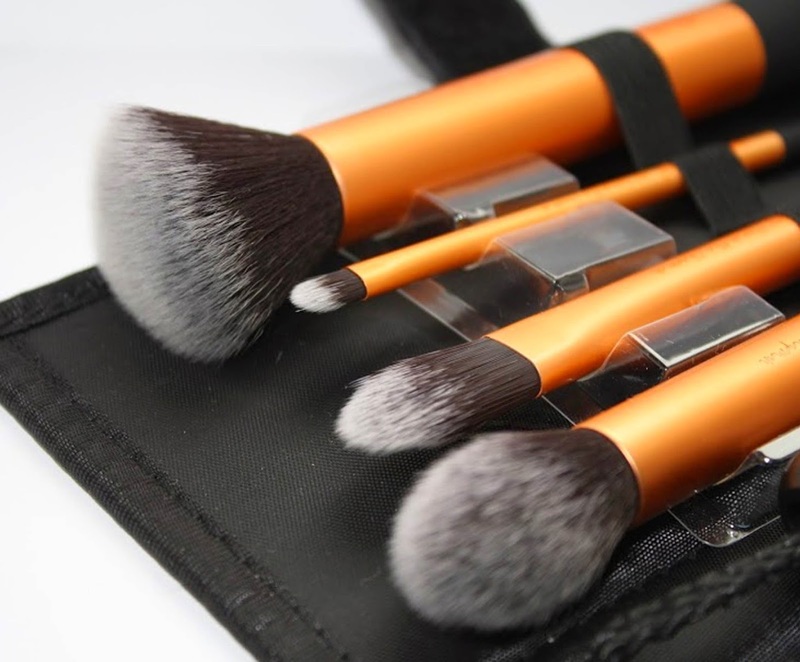 The brushes themselves are super soft and are synthetic and 100% cruelty free. I found the cases for the brushes very handy because they have a bit of elastic inside to hold each of the brushes in so they don't fall out. I also love the way you can use it as a stand so it's easy to see and grab whatever brush you need next. The Base shadow brush is great for applying colour all over your lid. 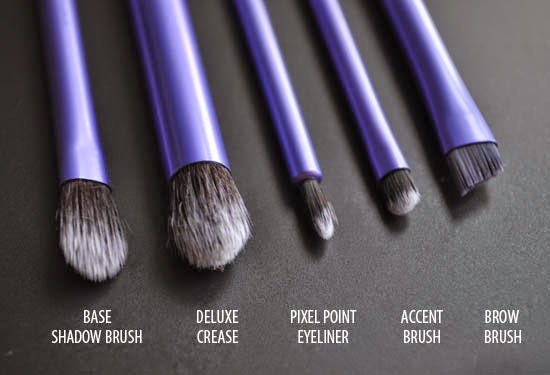 Their Deluxe crease brush is just perfect, I have no complaints with this brush at all because it's amazing for applying shadow to your crease and it blends it in perfectly. The Accent brush is a small detailed brush which I find particularly handy for applying shadow into my inner corner and for smudging into my lash line. The fine liner brush can be used for applying liquid or cream liners to the lid, but I haven't quite got the hang of perfecting my cream liner with it just yet so most days I'll just use the brush that comes with my liquid liner. The brow brush is great for defining your brows using powders, gels, creams etc but I found it a little bit big because I prefer to use a small brow brush for defining my brows. Instead I use it for smudging eyeshadow under my bottom lashes when I want a more dramatic look. Again these brushes are super soft, synthetic and 100% cruelty free. I really love the real techniques brushes because they can be used for a number of things and not just what they're meant for. The handle is easy to hold and has a nice weight to it so the brushes aren't too light or too heavy. Next on my list is the new Real Techniques bold collection which look absolutely gorgeous but of course are a bit more expensive than these brush sets with the cheapest brush retailing for around €13 and the most expensive retailing for around €32. 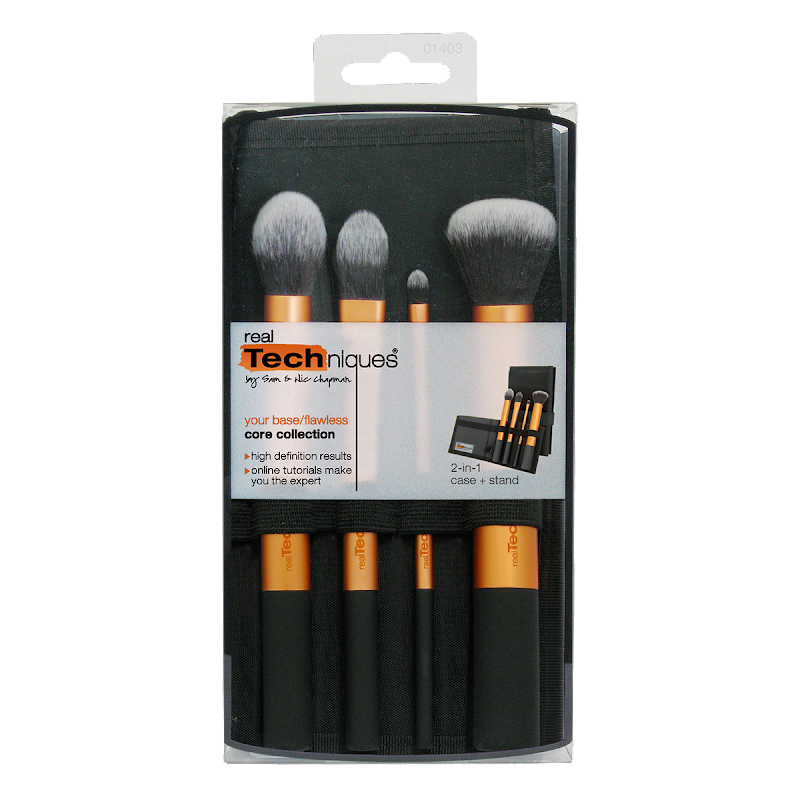 Have you bought any of the Real Techniques brushes before, what did you think? or what are your favourite make up brushes? Leave your opinions in the comments below!